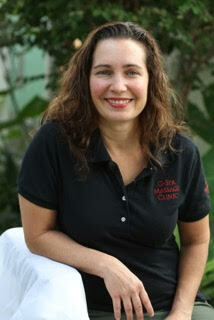 Hello there, I am Giovanna Estocin and I am the Founder of G-Spa Massage Clinic. Our mission is to Educate, Heal and Inspire you to be the best version of yourself. A little bit about my journey. My previous professions were all desk jobs sitting for prolonged periods of time, which put my health at risk. The pain was constant, which slowed me down, affected my sleep and eating habits, and my stress levels were at an all-time high. This profession was literally killing me. Which is why I wanted to go into the healthcare industry. Always being a caretaker, with nursing my father back to health from throat cancer, caring for my autistic brother and having my dear friend with Multiple Sclerosis, I wanted to be a part of something bigger than myself… Something that could heal people and change their lives in a positive way. G-Spa’s first clients were the special needs and disabled community suffering from Autism, MS, Cerebral Palsy, Fibromyalgia, Spina Bifida and Cancer patients. We wanted to make a difference, so our main focus was to treat people that had an injury that quite never healed. Surgeries that didn’t have the end result that was needed, or just the pain from constant overuse of the same muscles. Poor posture for several years and now electronics is changing how we stand, sit and hold our bodies, that in over time, can be detrimental to our health and quality of life. Here at G-Spa, we take a look at not only the pain, but what is causing it and where it is coming from. With a detailed medical history evaluation, we are able to design a customized treatment plan that will assist you after your massage. We look forward to being a part of your health journey. All of our Medical Massage Therapists are Certified for the state of California, insured and are an expert in their field. Most of our therapists have 10+ years of experience and also have additional certifications towards their specialties. 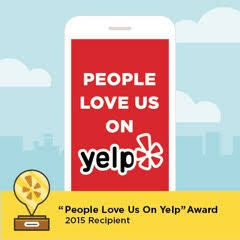 G-Spa is rated 5 Stars on Yelp with over 233 Reviews. 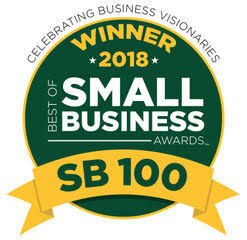 In addition, they were awarded the 2015 & 2016 “Best of Long Beach” award by “Best Businesses”. Beachcomber Long Beach Newspaper awarded G-Spa with the Best of Long Beach award and it was in the April 1st issue in 2016. 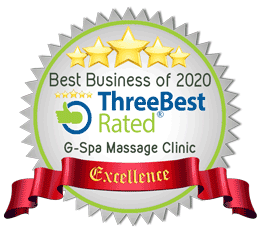 "Three Best Rated” researched the top three Massage Clinics and awarded G-Spa with the “Certificate of Excellence Award” for 2016, 2017 & 2018. Our specialty is “Medical & Therapeutic Massage” We create long term treatment plans for goals of health and wellness. Allowing our clients to remain active and healthy.